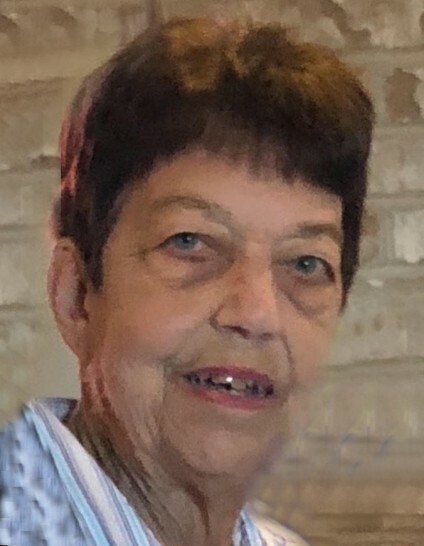 Age 79 of Wilmington, formerly Coffeen, Illinois, passed away Friday February 1, 2019 at Presence Saint Joseph Medical Center in Joliet. Survivors include her sister: Joyce Van Duyne of Wilmington, Shirley Kent of Coffeen, and Janet (Charles) Blakley of Sun City, Arizona; nieces and nephews: Ellen Overton, Robert (Debbie) Van Duyne, Karen (Andy) Tull, Jeff (Beth Ann) Van Duyne, Gary (Laurie) Van Duyne, Connie (John) Borth, Barbara (Ken) Gavre, Bruce (Diane) Van Duyne, Glen (Jill) Van Duyne, Scott (Kim) Van Duyne, Alvin (Nichole) Van Duyne, Richard (Debbie) Kent and Sue (Mike) Schrader, as well as numerous great nieces, great nephews, and one great-great niece . Visitation will be Sunday, February 3, 2019 at Baskerville Funeral Home, 700 East Kahler Road, in Wilmington from 3:00 p.m. to 5:00 p.m.
Visitation will again be held Tuesday February 5, 2019 at Toberman-Dean Funeral Home, 212 West Main Street, in Coffeen, Illinois from 1:00 p.m. until time of funeral service at 2:00 p.m. Burial will be in Olive Hill Cemetery in Coffeen, where Betty will be laid to rest with her husband. In Lieu of flowers, memorial donations may be made as gifts in Betty’s memory to Kuzma Care Cottage. Services and arrangements are being made under the direction and care of Baskerville Funeral Home in Wilmington (815) 476-2181.